My apologies for the long gap between posts, life has been a bit busy. I recently began a new position in Vietnam, on Cat Ba Island to be specific. My first impressions are that this is a damp and precipitous landscape. I have not seen the sun since I arrived in Vietnam on March 4th. 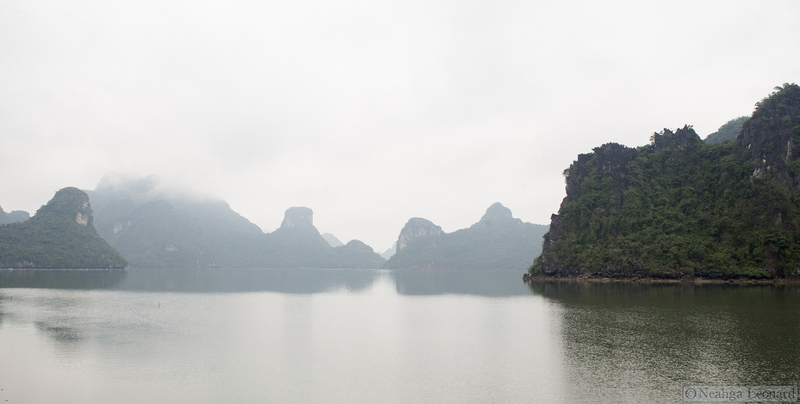 For Cat Ba Island this means a riotous profusion of greenery tempered by the steep terrain and lack of soil. < How close is too close? I’ve subscribed to Writing for Nature, too. Great article, thanks for the introduction! What a project, those monkeys are pretty unique and their golden haired babies. It will be an interesting to read what happens next.